Scientists have presumed that guyots are erosionally-truncated drowned volcanoes. However, many North Pacific guyots are actually large volcanic platforms capped by thick carbonate, and topped by a veneer of pelagic ooze.4 Uniformitarian scientists believe the carbonate represents ancient reefs that drowned. 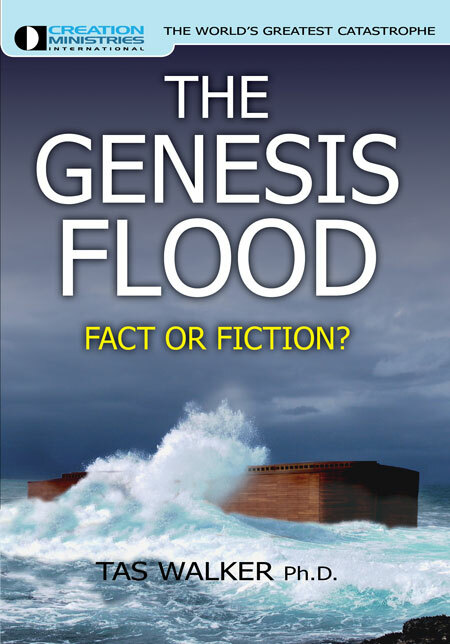 This belief is reinforced by ocean drilling program (ODP) drill cores that contain fossils of rudists,5 corals, calcareous algae, and benthic foraminifera. Since guyots are assumed to have formed at sea level, the main paradox facing uniformitarian scientists is that reef growth should have been one to two orders of magnitude faster than relative sea level rise.4 Many modern reefs have survived through ice age fluctuations of sea level and a large Holocene transgression.6 In other words, the ancient reefs should not have drowned. Two hypotheses are presented to explain guyots in the Nature article, each with its problems. The ‘death-by-emergence-and-submergence’ hypothesis postulates regional tectonic and eustatic (sea level) changes that caused a temporary emergence of the reef followed by a rapid relative rise in sea level to drown the reef. The idea of emergence is based on the likely development of holes and caves (karstification) in the limestone cap, based on sink holes and dolines,7 discovered on many guyots.8 It is this karst topography that supposedly is evidence of emergence, and when sea levels rose again, the karst topography retarded the building of the reef, which therefore aided reef drowning. The second ‘death-in-the-tropics’, hypothesis suggests that the reefs drowned while the guyots, which formed in the Southern Hemisphere, passed northward across the equator on the moving Pacific plate. The main problem with this hypothesis is that the equatorial belt is currently a zone of high reef growth. Consequently those who hold this hypothesis must postulate some equatorial reef-retarding mechanism, the opposite of today. 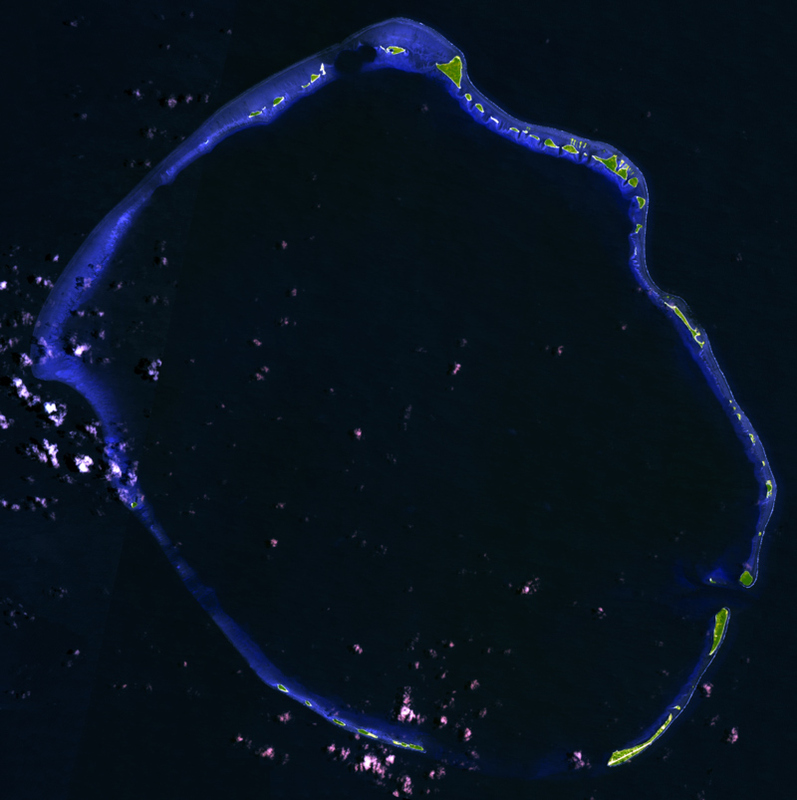 Composite “false color” satellite image of Enewetak Atoll, Marshall Islands. Width of image is 45 km. A big problem for both hypotheses is that in the Marshall Islands guyots are near surviving atolls, for example Eniwetok (other spellings include Anewetak, Enewetak, Enewetok, and Eniewetok) and Bikini islands that have thick carbonate caps (See Figure 1).9 An atoll is a generally circular reef surrounding a central lagoon. Wilson, et al., state that both hypotheses for the drowning of guyots are problematic: “Nevertheless, the mechanism responsible for drowning remains poorly constrained.”9 Based on isotopic, biostratigraphic, paleomagnetic, and geochemical data, Wilson, et al., favor the ‘death-in-the-tropics’ hypothesis. It is interesting that fragments of woody plants and coal (obviously not reef debris) were also discovered in the carbonate. But if Eniwetok Island is simply a circular reef formed on part of an old, broken-up carbonate platform and not 1,400 m of reefal material, the creationist problem of accounting for this much reef growth disappears. As already mentioned, Eniwetok Atoll is accompanied by many nearby guyots (See Figure 1).21 The size of many of the guyots in the Western Pacific also favors a broken-up carbonate platform rather than a series of drowned reefs atop volcanoes, since the tops of many guyots have an area often over 500 km2. Some even exceed 1000 km2.22 As a result, Smoot leans towards the view that Dutton Ridge, a series of guyots just east of the junction of the Mariana and Izu-Bonin Trenches, was once a plateau that has since been broken up.22 It is interesting that the heights of the guyots on Dutton Ridge range from 1300–2375 m below sea level, implying that different pieces of the plateau sank relative to each other. These heights are not far from the depth range between Eniwetok Atoll and adjacent guyots in the Marshall Islands. Rougerie, F. and Fagerstrom, J.A., Cretaceous history of Pacific Basin guyot reefs: a reappraisal based on geothermal endo-upwelling, Palaeogeogr. Palaeoclimatol. Palaeoecol. 112:239–260, 1994. Return to text. Winterer, E.L. and Metzier, C.V., Origin and subsidence of guyots in Mid-Pacific Mountains, J. Geophys. Res 89(B12):9969–9979, 1984. Return to text. Wilson, P.A., Jenkyns, H.C, Elderfield, H. and Larson, R.L, The paradox of drowned carbonate platforms and the origin of Cretaceous Pacific guyots, Nature 392(6679):889–894, 1998. Return to text. Wilson, et al., Ref. 3, p. 889. Return to text. A rudist is a type of extinct bivalve. One shell is conical and the other forms a cap for the open end of the cone. Return to text. Schlager, W., The paradox of drowned reefs and carbonate platforms, Geol. Soc. Am. Bull. Part I 92:197–211, 1981. Return to text. 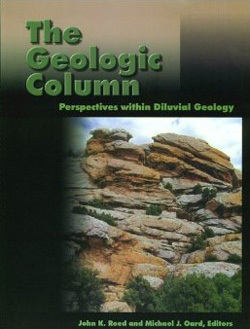 Dolines are bowl-, cone-or well-shaped depressions in limestone areas. Return to text. McNutt, M.K., Winterer, E.L., Sager, W.W., Natland, J.H. and Ito, G., The Darwin Rise: a Cretaceous superswell?, Geophys. Res. Lett. 17(8): 1101–1104, 1990. Return to text. Wilson et al., Ref. 3, p. 890. Return to text. McNutt, et al., Ref. 8, p. 1101. Return to text. 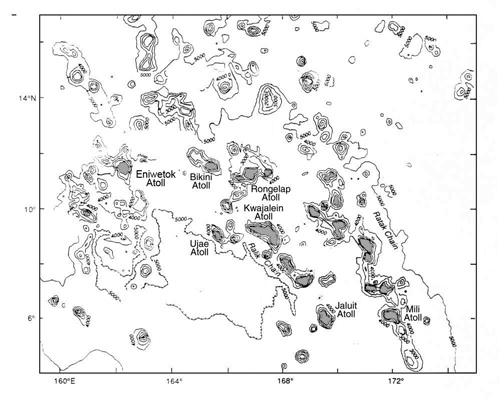 Sager, W., et al., Examining guyots in the Mid-Pacific Mountains, Eos, Trans. Amer. Geophys. Union 74(17):201–206, 1993; DOI: 10.1029/93EO00119. Return to text. Shipboard Scientific Party, Synthesis of results, leg 143. In Sager, W.W., Winterer, E.L., Firth, J.V., et al., Proceedings of the Ocean Drilling Program, Initial Reports 143:13–29, 1993. Return to text. Shipboard Scientific Party, Introduction and scientific objectives. In Sager, W.W., Winterer, E.L., Firth, J.V., et al., Proceedings of the Ocean Drilling Program, Initial Reports 143:7–12, 1993. Return to text. Roth, A. 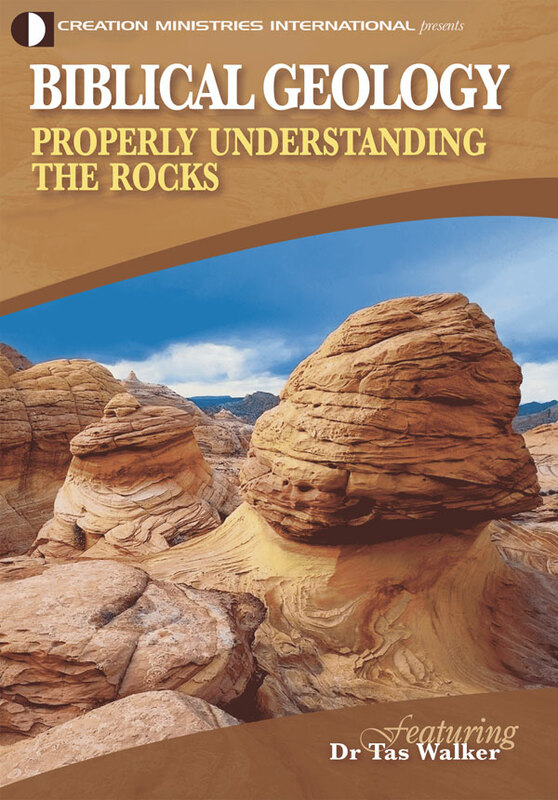 A., Fossil reefs and time, Origins 22(2):86–104. 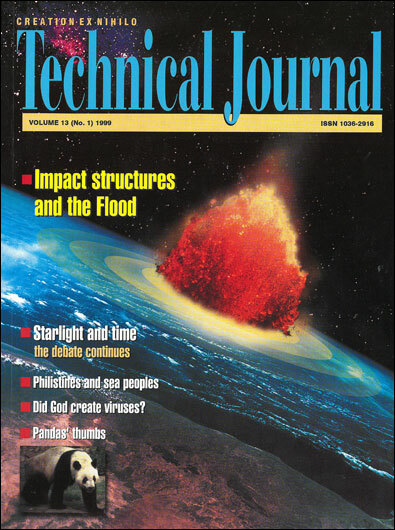 1995. Return to text. Sager, et al., Ref. 12. Return to text. Shipboard Scientific Party, Ref. 14, p. 10. Return to text. Shipboard Scientific Party, Ref. 13, p. 22. Return to text. Sailer, A.H. and Koepnick, R.R., Eocene to early Miocene growth of Enewetok Atoll: insight from strontium-isotope data, Geol. Soc. Am. Bull. 102:381–390, 1990; doi: 10.1130/0016-7606(1990)10. Return to text. Strahler, A.N., Science and Earth History—the Evolution/Creation Controversy, Prometheus Books, Buffalo, N.Y., p. 224, 1987. Return to text. Shipboard Scientific Party, Introduction. 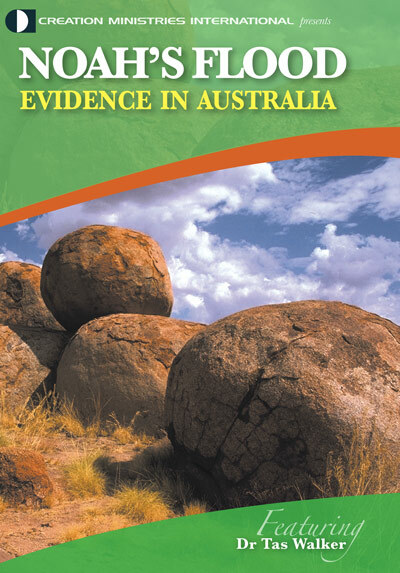 In Silva, L, Haggerty, J., Rack, F., et al., Proceedings of the Ocean Drilling Program, Initial Reports 144:3–4, 1993. Return to text. Smoot, N.C., The Marcus-Wake seamounts and guyots as paleofracture indicators and their relation to the Dutton Ridge, Mar. Geol. 88:117–131,1989. Return to text.